The annual conference of Bangkok-headquartered Asian Ecotourism Network is set to kick off Jan. 19 in the southern county of Chiayi, according to event organizer Taiwan Ecotourism Association. 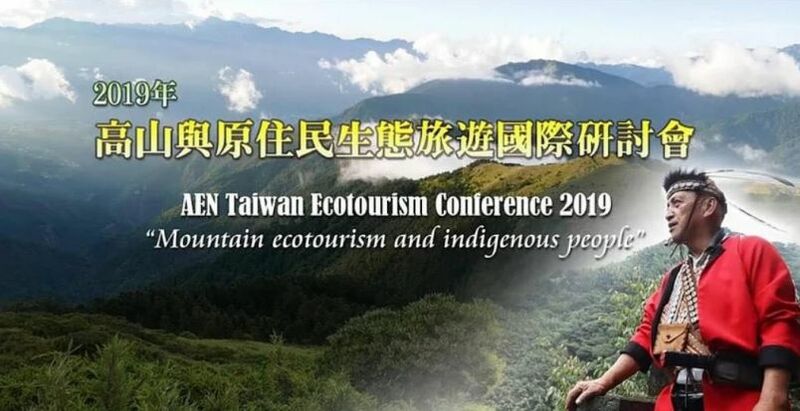 Themed around mountain ecotourism and indigenous people, the one-day forum comprises panel discussions and speeches by business leaders, experts and industry representatives from Taiwan and nine other countries including Japan, New Zealand and Thailand. Participants will discuss challenges and opportunities related to ecotourism promotion and share development experiences. TEA is also hosting a three-day technical tour Jan. 21-23 to a Tsou tribal community and the Alishan National Scenic Area. The event represents private sector efforts in support of the government’s Tourism 2020 initiative and New Southbound Policy, the association said. Mountain ranges are set for strategic promotion in the final year of the sustainable tourism development project, with townships the target for 2019. In addition to tourism ties, the NSP is enhancing the nation’s agricultural, business, cultural, education and trade links with the 10 Association of Southeast Asian Nations member states, six South Asian countries, Australia and New Zealand. According to TEA, the conference will serve as an invaluable platform for connecting local operators with counterparts throughout the region and showcasing Taiwan’s rich indigenous culture and ecotourism assets on the global stage.